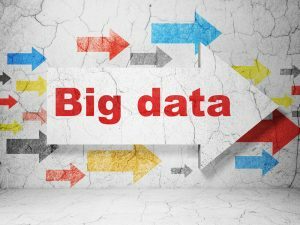 One of the problems with big data is its sheer size. This leads to problems when it comes to moving files around and can lead to a loss of competitiveness if companies aren't able to process files in a timely manner. The issue can be magnified if it involves transferring files to and from cloud platforms. IBM has recognized this problem and in response has swallowed up California-based Aspera , a specialist in high speed transfer techniques. The company's patented "fasp " technology can reduce the transmission times for large files or data sets by up to 99.9 percent. It overcomes bottlenecks in broadband wide area networks that slow the transfer of extremely large files, such as high-definition video or scientific research data, over long distances. "Our experience working with thousands of clients on Big Data projects tells us that companies can better compete and win when they can quickly extract value from massive volumes of data," says John Mesberg, Vice President, B2B and Commerce Solutions at IBM. "With this acquisition, IBM addresses a key challenge for globally integrated enterprises by allowing them to move large data files much faster to the individuals who need them, wherever in the world they may be". Aspera can move big data to and from the cloud faster than traditional methods whilst providing predictability, bandwidth control and security. This benefits companies such as media organizations uploading TV shows and movies for streaming, medical research companies sharing genome data, or any organization trying to share and synchronize data between multiple devices on different sites. "Our team has redefined how the world’s biggest data can be moved quickly, securely and reliably around the world," says Michelle Munson, president and co-founder of Aspera. "By tapping into IBM's innovative capabilities and global resources, we will solve ever expanding data movement challenges for our customers now and in the future". The acquisition builds on IBM's Smarter Commerce initiative by helping businesses to speed up their digital supply chains. Aspera's fasp technology will be integrated into IBM's SoftLayer cloud infrastructure next year. The financial terms of the takeover deal have not been released.